Vines were introduced in the Penedes region around the 4th century b.C. by the Greeks. Proof of this are the two wine presses found in Iberian settlements. These presses are available for viewing in the Wine Museum of Penedes, which you should visit if you're ever in the are, because its a great way to learn Spanish history and how it was affected by wine production. The Romans loved wine and their arrival in a city meant a definite increase in the production of wine, specially red (white was mainly used for offerings to Bacchus). The Via Augusta was the main reason trade was possible in this area. This road was one of the most important Roman constructions, and it crosses Penedes from "El Puente del Diablo" (The Devil's Bridge) to the Arco de Berá (Berá Archway). Apparently, the Penedes wines were very appreciated in Gaul, Germany, Italy, Africa and Spain, and exportation was common. As with many regions in Spain, the arrival of the Moors did little or nothing for the Penedes wines. The real parting point for there is the arrival of the Cistercian and Benedictine monasteries to the area, who needed wine for their religious ceremonies. 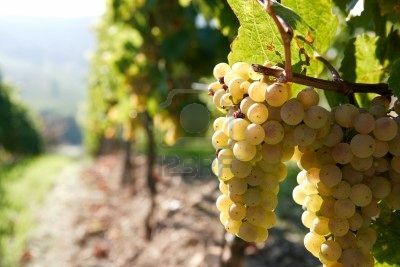 Many different grape varieties were introduced during the Middle Ages, and the white acidic grapes were used to distill spirits. It was the Muslims that taught Spanish winemakers to use the alembic for distillation, and this practice became so common in medicine that it helped to develop the wine industry. During the second half of the 19th century, the wine industry (from production to marketing) was being controlled by the wine cooperatives and private businesses in an effort to produce high quality Penedes wines eligible for exportation. It was also during this time that cava started to be produced, following the same techniques as the French used for their champagne. Although in our days Penedes is better known for its white wines, it wasn't always that way. In fact, before the phylloxera plague of the 19th century, most of the Penedes vineyards were planted with red varieties, but the re plantation after the plague was done mainly with white grapes for the production of cava. Right now, Penedes vineyards have approximately 10% of red vines and 90% of white vines. 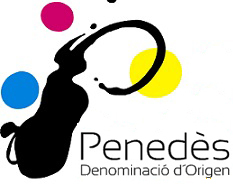 Today, Penedes is one of the most famous Spanish wine producing regions. However, its fame also comes from the production of Spain's sparkling wine cava which has since become a great rival of the traditional French champagne. The two main cava producers of Spain, Codorníu and Freixenet can be found in this region, along with many other normal Spanish wineries. Upper Penedes is in the inner parts of the region and on the mountains. Production here is scarce due to the growing conditions, but the fruits are very high quality. Middle Penedes is in the southeast and the area with the greater production. Lower Penedes is closer to the shore. In general terms, the climate of the Penedes is typically Mediterranean, mild and warm, and its orography protects it from the cold winds, but lets through the warmer winds like Mistral or other winds from the west, which are very positive for the health of the fruit. If you're ever spending summer in Barcelona you should visit the Penedes regions and see for yourself how great the weather is in this area! The main white grape varieties used in Penedes wines are Macabeo, Parellada, Xarelo and Subirat Parent. For red wine they use Garnacha tinta, Cariñena, Cabernet Sauvignon, Tempranillo, Monastrell and Samsó. Make sure you try as many of the wines from this region as possible as they are among some of the best the country has to offer!